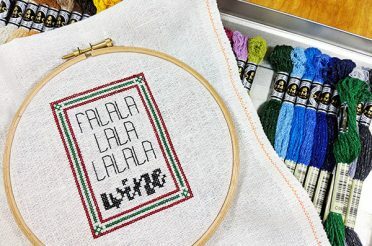 Making a functional object out of a cross stitch project isn’t hard, you just need to know some simple finishing techniques. 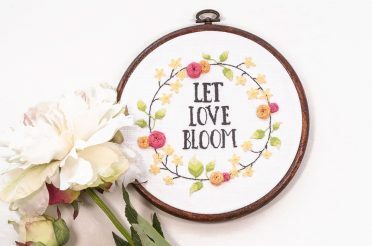 It always surprises me when I see cross stitch or embroidery patterns that don’t include finishing instructions (particularly when it’s a 3D object and more complicated than a bookmark). I’m about to release a new pattern collection shortly, and all of the new patterns will come with assembly instructions. 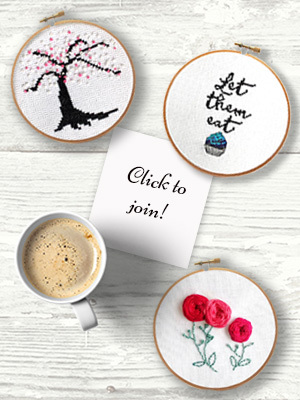 While I’ve been putting the patterns together I realized that it’s entirely possible that many stitchers (particularly if they’re new to stitching) might not know simple finishing techniques such as how to do a slip stitch (also called a blind stitch). 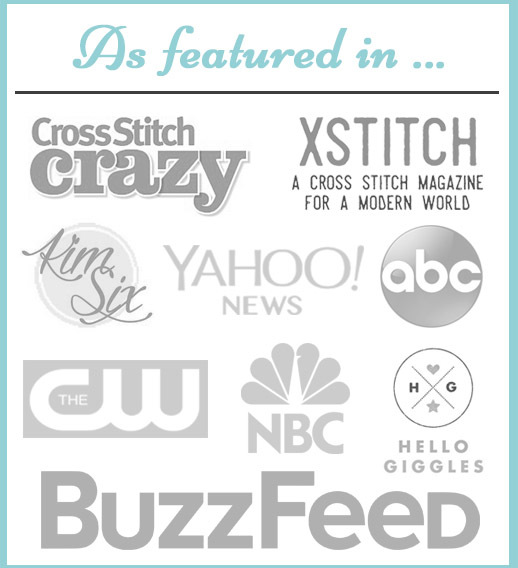 The slip stitch is such an incredibly versatile stitch. 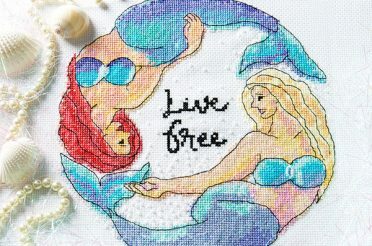 It can not only be used for your cross stitch and embroidery projects, it’s great for using in daily life. I use it all the time for hemming pants by hand (I’m really short so that’s pretty much every time I have to buy pants), repairing seams that are starting to come apart, etc. 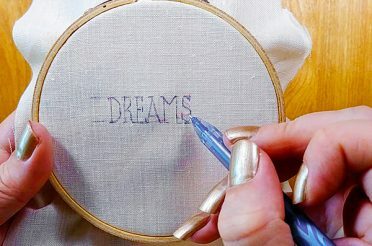 In the video below you’ll learn this stitch — to me it’s one of the most useful finishing techniques you can learn, and it’s really simple. 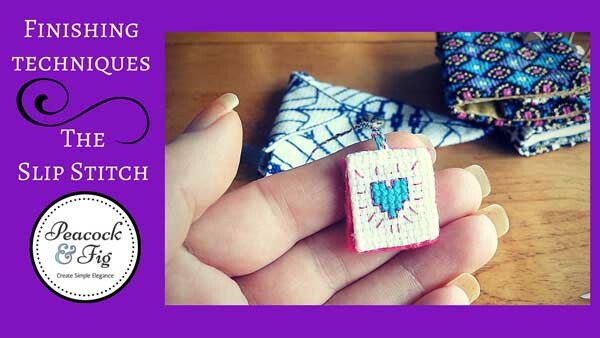 In case you’d like to replicate the little scissor fob/key fob I’ve made for this video, you can download a copy of the pattern below. Of course you can adapt the colours to your own taste. 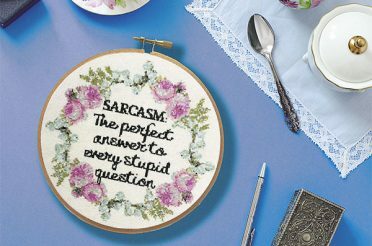 If you need help learning how to backstitch, this tutorial will help you out. 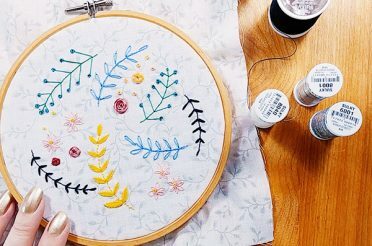 Use an embroidery needle rather than a tapestry needle, you can pierce your fabrics better. 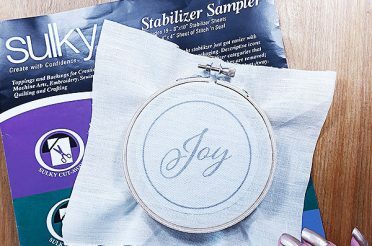 Use thread the same colour as the fabric you stitched on. That’s it for now, if you have any questions or comments feel free to let me know below! 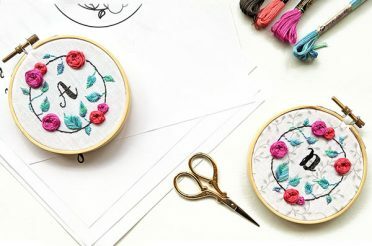 Making a functional object with a cross stitch or embroidery project isn't hard - you just need to know some simple finishing techniques, like slip stitch. This would be a really cut fob for your cellphone. EBay has a little thingy that plugs into the headphone jack that you can connect your fob.